Eliot Lewis has a career most musicians could only dream of. 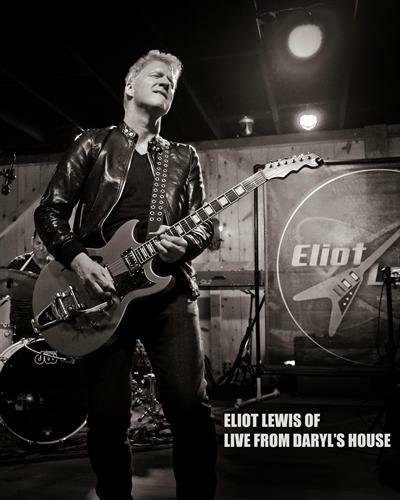 Eliot is not only a member of Rock & Roll Hall of Fame inductees, Daryl Hall & John Oates band, but also the original featured musician on MTV’s “Live From Daryl’s House”. His contributions stand out as some of the best moments from the show including performances with Billy Gibbons (ZZ Top), Joe Walsh, Todd Rundgren, Train, Grace Potter, Ben Folds, Cheap Trick, Rob Thomas, Jason Mraz, Darius Rucker, Gavin DeGraw and many, many others. Touring as a solo artist, Eliot has captivated audiences all over the country with his electric performances.